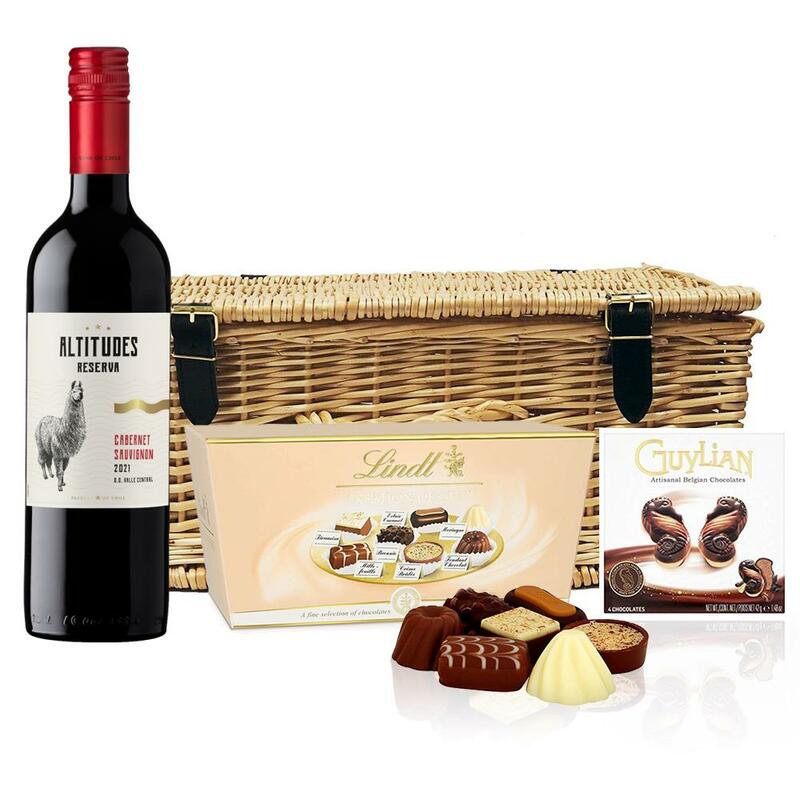 Altitudes Reserva Cabernet Sauvignon and Chocolates Hamper A delightful gift of Altitudes Reserva Cabernet Sauvignon along with a box of Guylian Artisanal Belgian Chocolate Hearts 42g and Belgid'Or Fine Belgin Choclates (175g) all packed in a wicker hamper with leather straps lined with wood wool. All gifts come with a gift card with a message of your choice. Altitudes Reserva Cabernet Sauvignon - Chile, Intense ruby red colour. Complex and aromatic aromas of red mature fruits, with cassis, plum, cherries and jammy flavours intermixed with discreet oaky notes. An expressive and accessible medium body wine with subtle and round tannins, that makes it enjoyable for immediate drinking. This product is hand packed onsite by Bottled and Boxed, and is not affiliated with any other brand. Bottled and Boxed is responsible for this product combination/set.